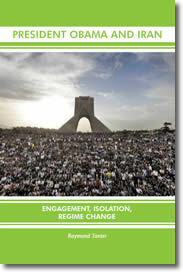 On November 27, 2009, the International Atomic Energy Agency (IAEA) voted a strong resolution that expressed “serious concern that Iran has constructed an enrichment facility at Qom [Iran] in breach of its obligation to suspend all enrichment related activities.” This censure of Tehran was preceded by a November 16 report that the IAEA reportedly suspectsIran may have additional hidden nuclear facilities beyond the previously undisclosed underground enrichment facility at Qom revealed during October. Parallel, clandestine nuclear fuel cycle facilities make sense. Without additional secret facilities, if Tehran enriched its low-enriched uranium (LEU) to bomb-making level, it would have to divert fuel from IAEA-monitored facilities. The IAEA resolution and report coincide with Iran reneging on a tentative nuclear deal reached in Geneva during October. That understanding would have allowed Iran to ship some of its LEU out of the country for processing into fuel for use in nuclear reactors, but not nuclear weapons. Heightened fears about Iran’s secret nuclear capabilities and stumbling nuclear talks point toward yet another round of UN sanctions. Previous U.S. and UN sanctions against Iran have been “smart” sanctions—targeting individuals and entities related to specific behavior, while leaving the overall economy unaffected. The next round, likely to involve restricting Iran’s imports of gasoline, represents a different approach, designed to have a macroeconomic impact to change the strategic calculus of Iran’s rulers. The success of such sanctions centers on restriction of Iranian imports of refined petroleum depends on the degree of economic hardship and whether it threatens the regime’s hold on the population; economic impact depends on whether Iran’s refined petroleum suppliers participate in sanctions. According to the Energy Information Administration, as of 2008, Iran’s internal refining capacity is 1.5 million barrels per day (bbl/d), with plans to increase capacity to about 3 million bbl/d by 2012. Today, consumers are allowed 32 gallons of gasoline per month at the 37 cents/gallon subsidized price. Of the approximately 400,000 bbl/d of gasoline consumed, Iran imported about 94,000 bbl/d by the end of 2007. Gasoline is important among refined petroleum products because of regime subsidies. In times of gasoline scarcity, Tehran faces a difficult decision between reducing subsidies to raise prices and depress demand or keeping scarce gasoline cheap and allowing pumps to run dry. Either choice is politically perilous. During summer 2007, Tehran instituted limits on the amount of subsidized gasoline for purchase, resulting in riots at gas stations across the country. A substantial disruption in supplies of imported gasoline could precipitate additional riots and reinvigorate the Iranian opposition. Unilateral options for the United States to restrict such imports are limited because Washington already prohibits U.S. persons from conducting business with Iran, particularly in the oil and gas sector; it is doubtful that import denial via naval blockade is among options on the table at this time for the Obama administration, although there is sentiment on Capitol Hill for blockade. Unilateral steps short of blockade will have only a marginal impact. The Iran Sanctions Enabling Act of 2009, which passed the House and Senate during mid-October, would allow state and local governments to divest from companies doing business with Iran’s petroleum and natural gas sector. But divestment is unlikely to compel corporations to cut ties with Iran. The Iran Refined Petroleum Sanctions Act of 2009 would have teeth, as it would authorize the President to deny U.S. government contracts to companies selling gasoline to Iran, and firms tangentially involved, such as shippers and those insuring tankers. Versions of the bill passed the House Foreign Affairs Committee and Senate Banking Committee. But despite Reliance (of India) cutting off gasoline sales to Iran, it is doubtful that Royal Dutch Shell, Total, Lukoil, Zhuhai Zhenrong, or any of Iran’s other gasoline suppliers would sacrifice lucrative contracts with Iran because of a threat of being cut off from U.S. government contracts. Russia and China could lose economic investments in Iran if those countries participated in gasoline restrictions. That said, the toughly-worded resolution of November 27 reportedly “had unusual backing from Russia and China, broadening the message of international displeasure with Iran that is frequently voiced in the West.” Beijing is apparently sensitive to the argument that without support for tough diplomatic stance against Tehran (perhaps including another round of sanctions), Israel is likely to take military action that would interfere with Chinese supplies from Iran. The jury, however, is out whether China would vote for sanctions that target Iran’s economy. The United State has reportedly persuaded the UAE and Saudi Arabia to surge oil exports to China in the event Iran cuts off oil exports in retaliation for Chinese participation in gasoline restrictions. Given Saudi dedication to oil price stability, however, it is unlikely any surge in oil exports will be large enough to make up for China’s loss of Iran as Beijing’s number two supplier of oil. Even if some of Iran’s international suppliers were recruited to stop selling gasoline to Tehran, the Iranian regime has options to plug any supply gap. For one thing, the IRGC is heavily involved in smuggling goods, oil and gasoline included. Venezuela has signed a deal with Tehran to supply 20,000 bbl/d of gasoline, which would help plug any shortfall created by sanctions. If Russia so wished, it has enough excess refining capacity to plug the gasoline gap. And though there is always cause for skepticism about Iran’s technical-industrial prowess in the petroleum sector, Iran’s expansion of refining capacity to make the country self-sufficient in gasoline production could be in place by 2012, making import restrictions irrelevant: Any sanctions storm will only need to be weathered for about two years. Given the Iranian regime’s continued refusal to surrender its nuclear programs in response to economic incentives and threats—what Iranian President Ahmadinejad has characterized as “chocolate in exchange for gold”—gasoline sanctions are unlikely to have enough impact to cause a strategic rethinking in Tehran. This is not to say they should not be tried, because any economic pressure, even if it not decisive, is welcome. And producing consensus for another sanctions round is useful in case force has to be used later. But there is little leverage to compel international corporations to suspend gasoline sales to Iran, and Tehran has options for plugging the shortfall and dampening economic damage. Because of the low likelihood of success of another round of sanctions, the breakdown in nuclear talks, and the absence of a regime-change alternative focusing on the Iranian opposition, the West is moving toward having to decide between accepting an Iranian nuclear bomb or bombing Iran. Post originally appeared on Middle East Strategy at Harvard. 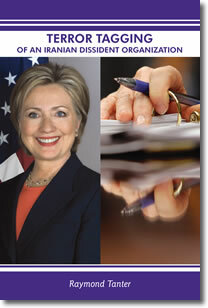 As in the children’s game of “chase and tag,” opponents of the main Iranian dissident organization—the Mujahedeen-e-Khalq (MeK)—oppose removal of an unwarranted terrorist tag imposed on it by the U.S. State Department, in effect, chasing the MeK to tag it with legally irrelevant arguments for continuation of the terrorist designation. The Obama administration is in the process of choosing among three options or is fashioning a policy package of all three concerning Iran: isolation, engagement, and regime change. 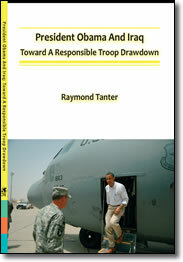 The book explains why insurgents ceased attacking U.S. forces in Iraq and turned against al Qaeda, and how the U.S. drawdown can be achieved while preserving gains of the political-military surge. Following the liberation of Iraq in 2003, why are Iraqis still fighting? 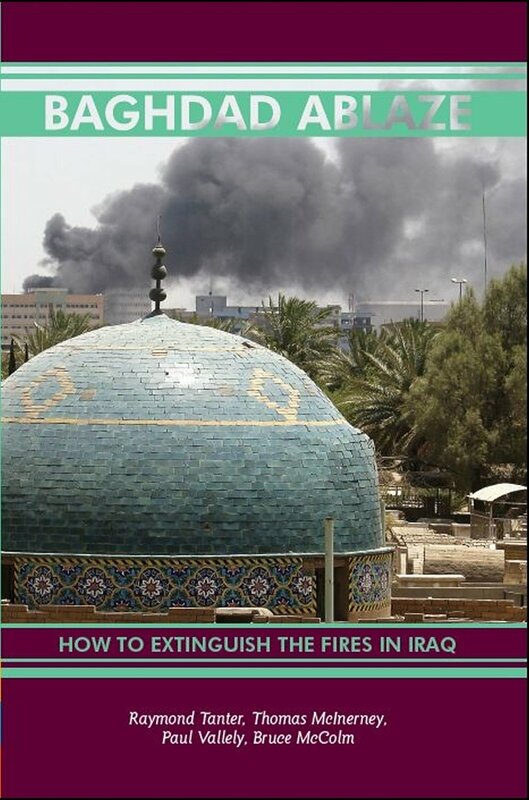 To extinguish the fires that burn in Iraq, one must discover why it is ablaze, what would move Iraqi politicians to put out the fires, and what would induce Iraq’s neighbors to quench the flames. Iran is emerging as the primary threat against the United States and its allies: Iran s drive to acquire nuclear weapons, continuing support for and involvement with terrorist networks, publicly-stated opposition to the Arab-Israel peace process, disruptive role in Iraq, expansionist radical ideology, and its denial of basic human rights to its own population are challenges confronting U.S. policymakers. 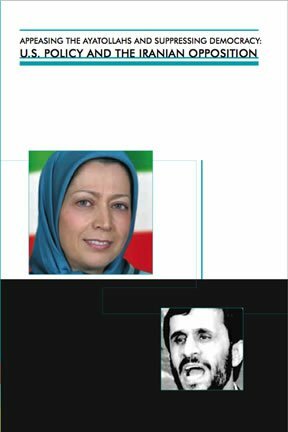 In trying to solve the puzzle posed by Iran, IPC’s report suggests that Iranian opposition groups play a central role in U.S. policymaking. 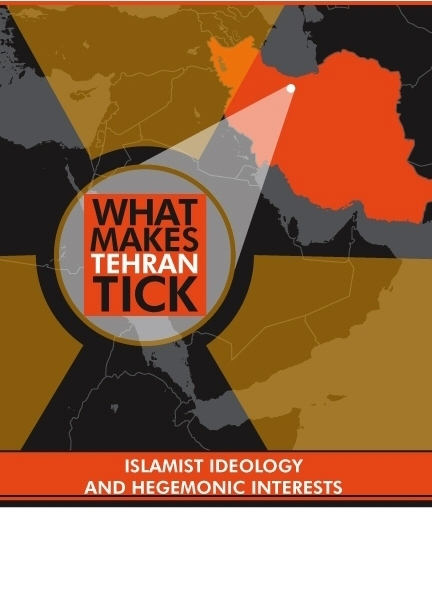 What Makes Tehran Tick creatively explores the ideological sources of Tehran’s hostility.